When it comes to social media, it’s all about timing. 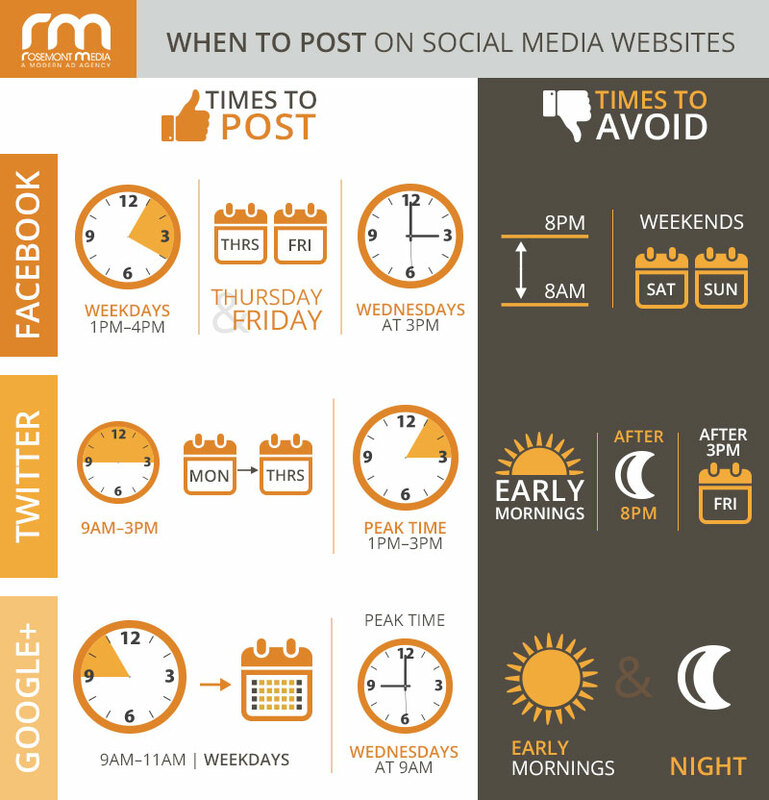 Although being active on sites like Facebook and Twitter is important, posting at the wrong times can potentially negate all your efforts if no one is seeing your posts. In fact, this happens quite frequently to brands because their fans constantly have updates running through their home feeds, which pushes older posts (possibly the brand’s) farther down and out of sight. By taking advantage of times when more people are on specific sites, and avoiding lower-traffic times, you can turn your social media strategy into a highly successful method of reaching your audience. In general, weekdays from 1 p.m. to 4 p.m. is the best time to post to Facebook, as there is an increased level of activity among users. This period peaks at an all-time high on Wednesdays at 3 p.m., and you can continue to see a significant reach into Thursday and Friday. You should, however, generally avoid posting between 8 p.m. and 8 a.m. and on weekends, as fewer people tend to be on Facebook. One way to look at it is: the less a person wants to be at work, the more time they’re going to spend on Facebook. Twitter sees its highest activity between 9 a.m. and 3 p.m. Monday through Thursday with its peak being between 1 p.m. and 3 p.m. The worst times to post on the popular social media outlet is early in the morning, after 8 p.m. any day, and after 3 p.m. on Fridays. Google+ tends to be the most active in the mid to late morning. Weekdays between 9 a.m. and 11 a.m. can be an excellent time to post, particularly on Wednesdays at 9 a.m. when activity tends to be at its highest. In general, you should avoid posting here early in the morning and at night. As you can see, people use various social media websites at different times, which is why companies should plan accordingly to reach more of their fans. It is important to note, however, that the days and hours provided above are simply an estimate of popular behavior, and the optimal times to post on your practice’s pages may vary. Such factors as time zone, the demographics of your audience, your specific industry, and the type of post all play a role in how and when you can best engage with your social media followers. 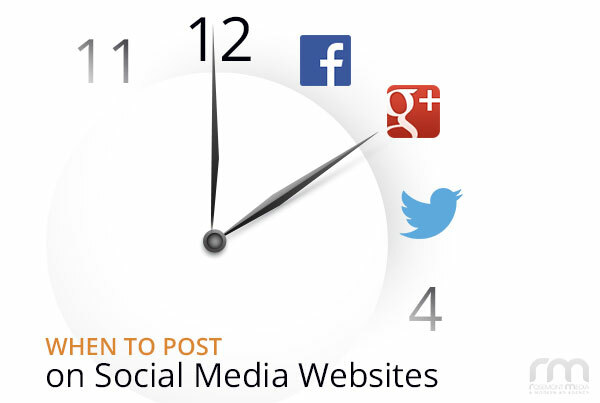 To find the most beneficial times to post, you should look at the analytics of your company’s social media pages. 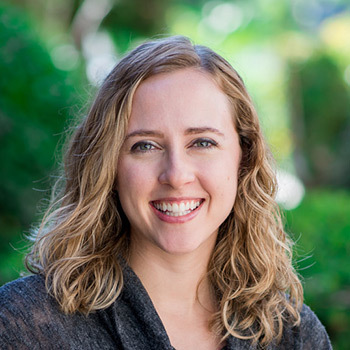 For more information about how to successfully utilize social media websites like Facebook, Twitter, and Google+ for your practice, contact us today! Editor’s note: The original version of this post was published on November 18, 2014.